We love flowers and know that you will too. 2518 , 2519 ,Wollongong 2500,Warrawong 2502, Port Kembla 2505, Lake Heights 2502, Berkeley 2506, , Figtree 2525 Cordeaux Heights 2526, Farmborough Heights 2526, Unanderra 2526,Kembla Grange 2530, Dapto 2530, Kanahooka 2530, Horsley 2530,Penrose 2530, Albion Park 2527, Albion Park Rail 2527, Dunmore 2529, Primbee 2502, Windang 2528, Lake Illawarra 2528, Warilla 2528, Mt Warrigal 2528, Barrack Heights 2528, Barrack Point 2528 Oak Flats 2529, Blackbutt 2528, Flinders 2528, Shellharbour 2529, Shell Cove 2529, Dunmore 2529, Minnamurra 2533, Bombo 2533, Kiama Downs 2533, Kiama 2533, Kiama Heights 2533.Gerringong township only 2534, Werri Beach township only 2534, Gerroa township only 2534, Jerrara 2533, Jamberoo 2533. So, no matter where that special someone is - we can help them feel extra special with our beautiful range of flowers! 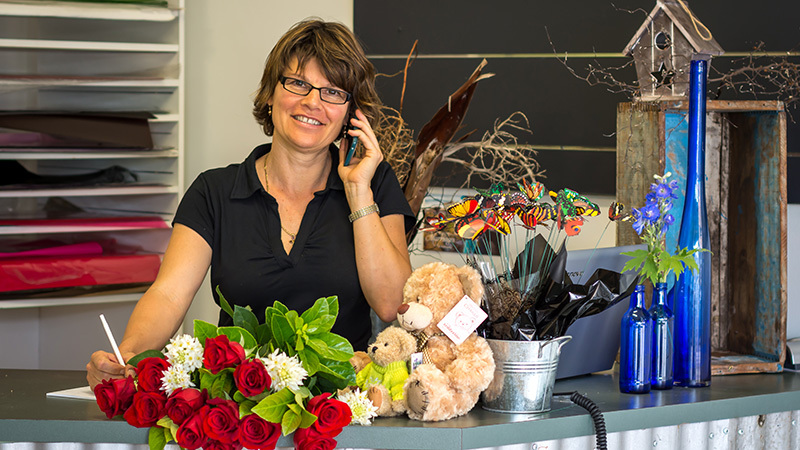 Our floral arrangements are suitable for birthdays, thank yous, functions, sympathy tributes, hospitals and nursing homes, corporate functions, births, anniversaries, weddings - any celebration at all. We stock all flowers in season that are of the highest quality.